The New Guinea singing dog is a true wild dog once found throughout New Guinea. 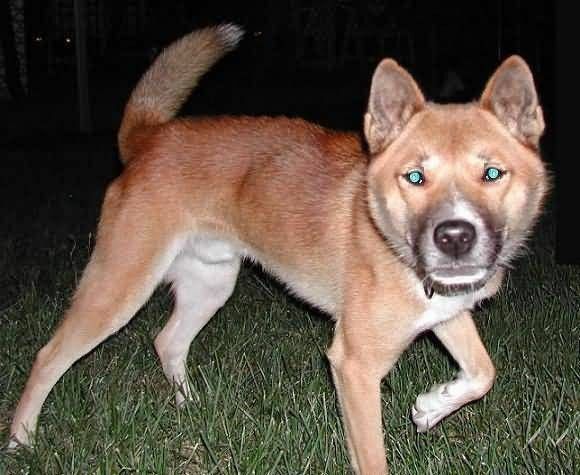 The New Guinea singing dog is described as relatively short-legged and broad-headed. These dogs have an average shoulder height of 31-46 cm and weigh 9-14 kilograms. The limbs and spine of singers are very flexible and they can spread their legs sideways to 90° and Eye color ranges from dark amber to dark-brown.